The Power of Yet! . Have you released your YETI today? At The Rissington School we recognise the importance of developing a 'Growth Mindset' within our children, so that they do not see challenge as a reason to give up, but as an opportunity to learn. Within our school we call this the 'Power of Yet' - if anyone in the school community ever says 'I cant do it', they are always met with a chorus of 'I cant do it YETI'. 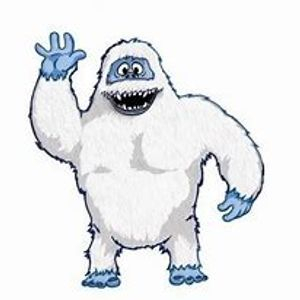 In each class you will see a small Yeti hiding - he is passed around the class from child to child, recognising when they have overcome a particular challenge. Children support each other in their learning, and will pass on the Yeti when they see others trying really hard and succeeding when something is difficult for them. Each week we celebrate the challenges that children have overcome in our 'Celebration Assembly', where we award a 'Power of Yet!' certificate and a 'Magic Maths Master' certificate to a member of each class. Growth Mindset is not a new concept, but its power to develop learning power in children has been recognised and has become a vital aspect of children's learning. We live in a world of instant gratification, and resilience is a skill that is being eroded away. At the Rissington School we are passionate about developing resilient learners, who embrace challenge, keep trying to overcome problems and are equipped to become life-long learners. Albert Einstein: It's not that I'm so smart; I just stay with problems longer.